With the information overload Newspapers already have, without any thought readers completely bypass the advertisement section and jump to the Headliners. Columbia based creative director, Felipe Salazar has turned that all around by taking such a neglected section of the newspaper and making that one the top Headliners! 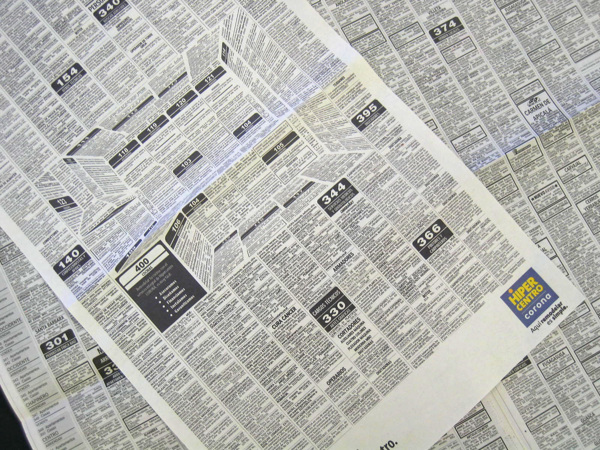 As you sip your morning coffee and open up the paper, you are in for an eye-popping surprise in the ad section. By simply positioning the rows of texts, Felipe Salazar renders clear outlines to add a three-dimensional illusion that is a sure fire way to spark curiosity to pull readers in. A trained eye, can easily skim through the information overloads in the newspaper to find the topics that spark their interest. 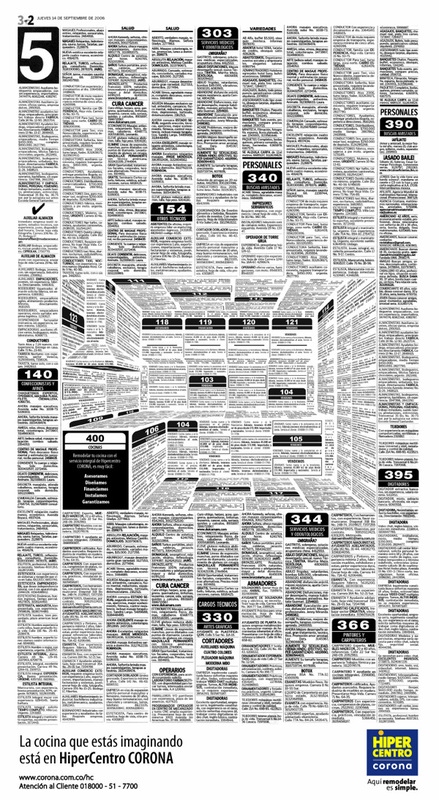 Yet stumbling on this optical illusion will redirect attention to the many various ads that complete the overall image. What was once a long, mundane advertising attempt is now a fun and gravitating exercise. Do you see yourself taking a detour from your favorite sections of the newspaper to take a glance at offers that may stick out to you? Heck, could this section become a favorite if were manipulated to pop out? View more of the images below. Ads that have relevance to kitchen needs would be included in the overall picture.